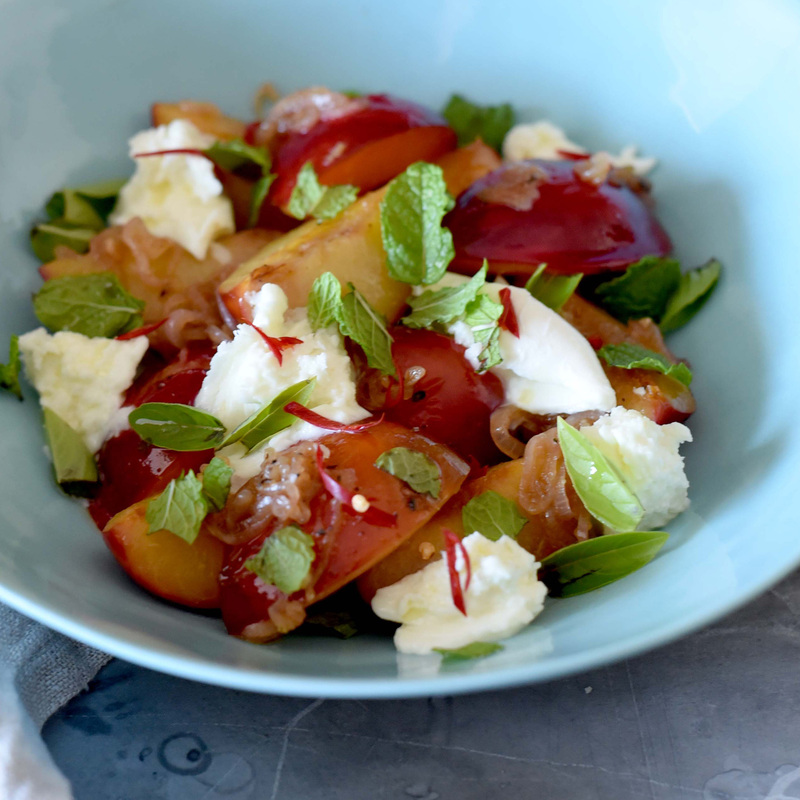 The following is a guest post from recipe creator and food stylist Tracy Valentina Wood, of Visually Delicious. Her passion for all-things-food begins with fresh, seasonal ingredients and continues right through to the final plated dish and surrounding accoutrement. She believes how it looks is as important as how it tastes. For me, using produce when it's at its seasonal best, and a good price, is just common sense, and I very rarely shop with a recipe in mind, taking inspiration from the fresh produce in front of me. When I see plums I always buy some, just a few to start when they are expensive, and as the season progresses, I purchase buckets. Then after I've made jam, and a few cakes, I start to think of different and savoury ways to use them. 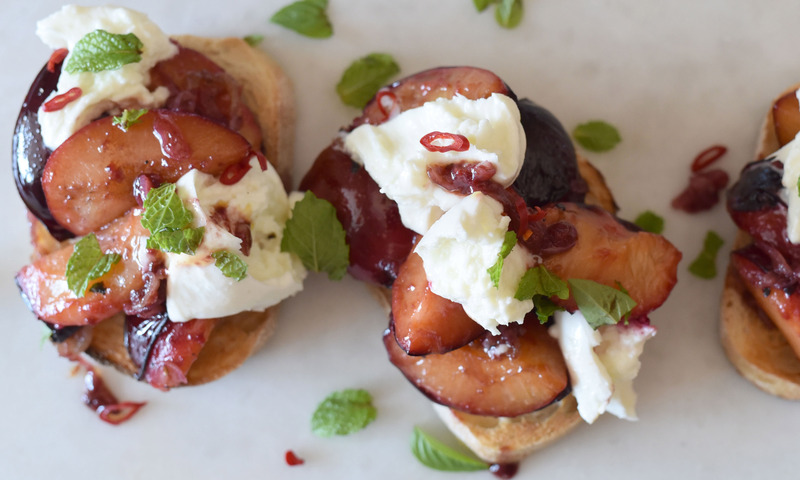 Partnering with a soft cheese is always a good idea, and lately, my new favourite way of serving plums is to lightly sauté quarters in butter with eschalots, ginger and chilli, and then pile them on to a thick slice of sourdough toast, with chunks of buffalo mozzarella and fragrant mint. We've been eating this as a late breakfast, or as a warm salad without the toast, serving it instead with a few slices of beautifully pink barbecued lamb. Such an easy recipe, to be honest it's really more of an idea, and maybe something you could elaborate on if you choose. Have fun, experiment, and enjoy. Turn up heat, and quickly add ginger, chilli, and red wine vinegar. 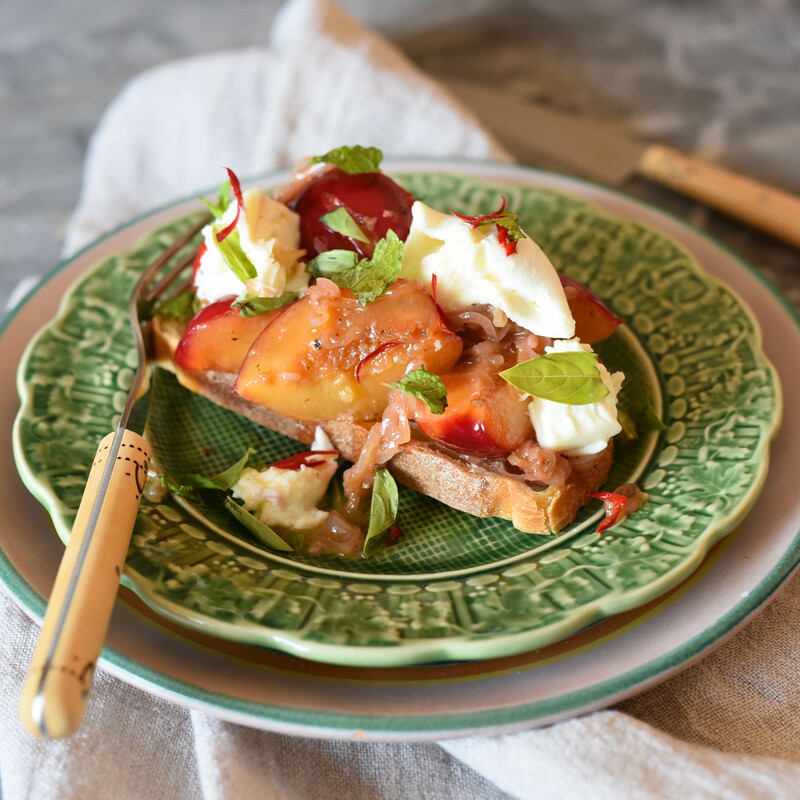 Reduce a fraction, season with salt and pepper, and then spoon onto sourdough toast topping with chunks of Buffalo mozzarella and fresh herbs. Follow Visually delicious on Instagram, Twitter, and the website.